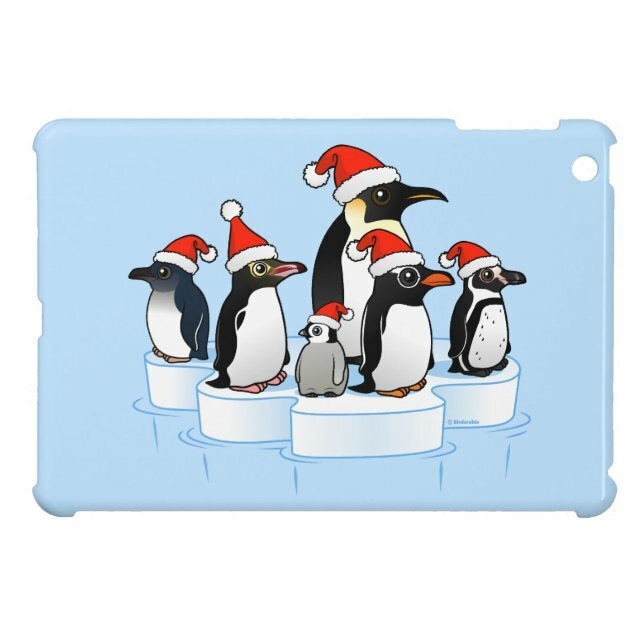 Five different kinds of penguin stand together on an ice floe, totally ready for Christmas to arrive! Everybirdy's got a Santa hat on, even the Emperor Penguin chick! Spread holiday cheer with this great original holiday design from Birdorable! You can customize this gift! Move the design around, change the background color or style, add text or images -- make it your own!